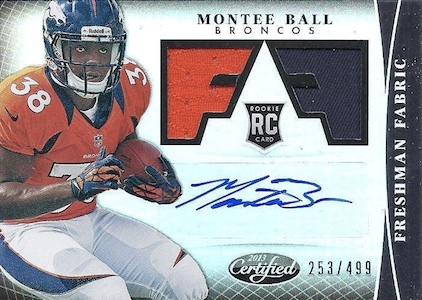 2013 Panini Certified Football is heavy on color and parallels and this is on full display with Freshman Fabric Signatures. 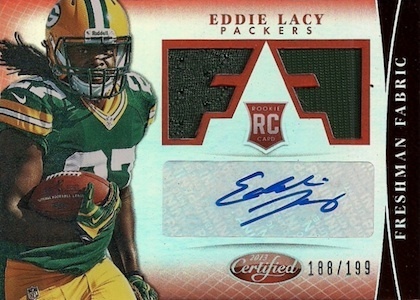 The popular autographed jersey subset features sticker autographs and dual jersey pieces, to go along with a reflective finish. 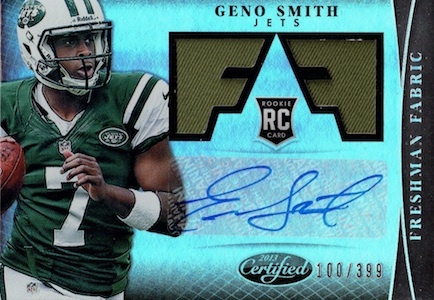 Collectors are already taking notice of these shiny cards and many of the top players are seeing considerable interest. 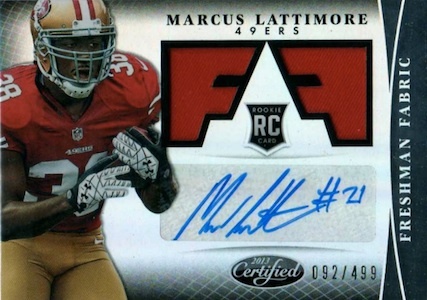 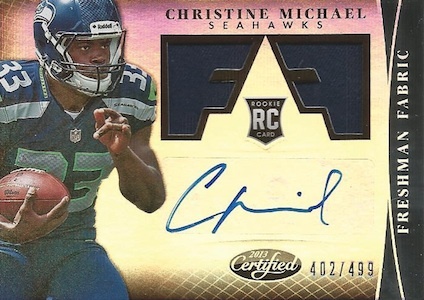 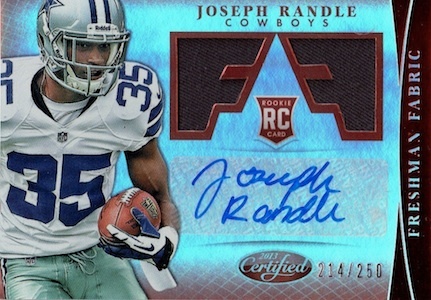 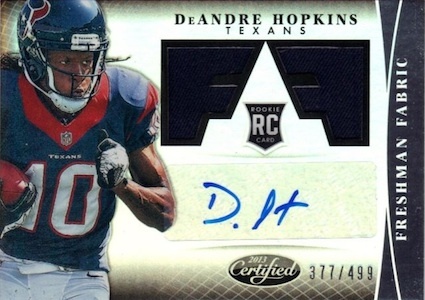 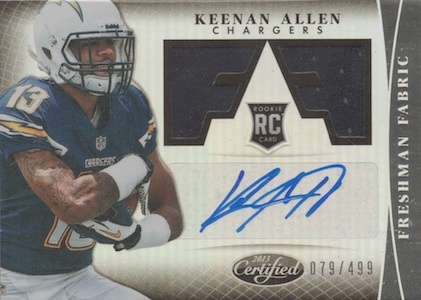 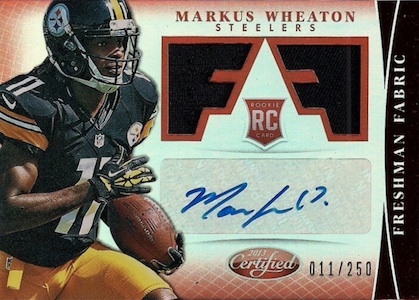 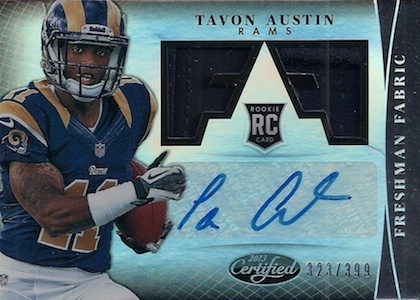 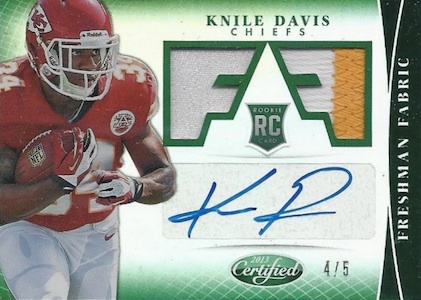 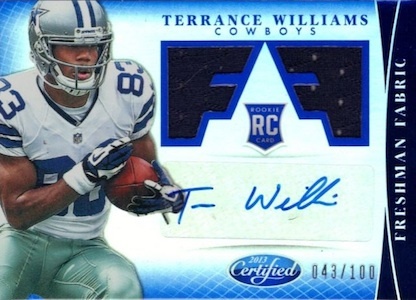 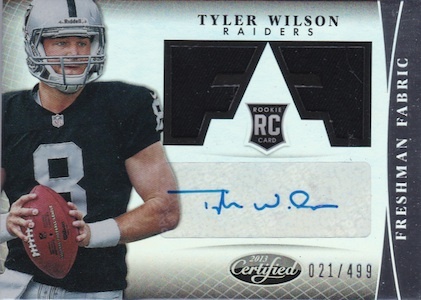 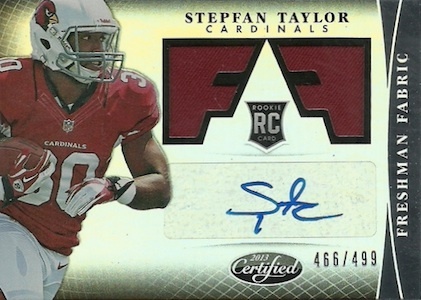 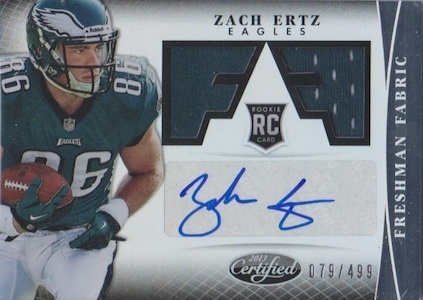 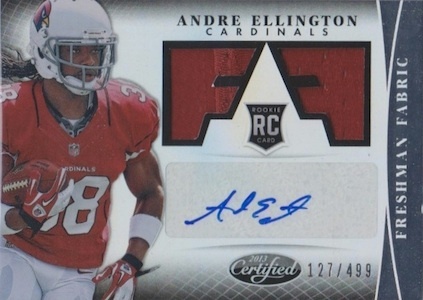 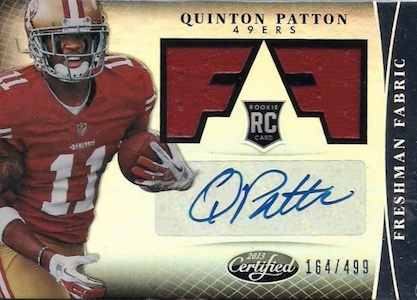 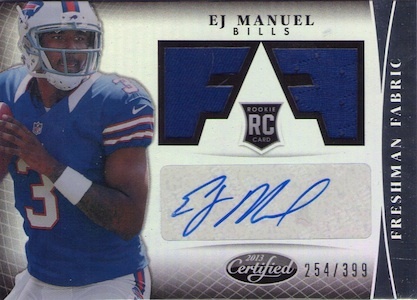 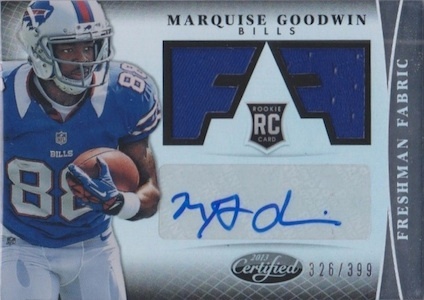 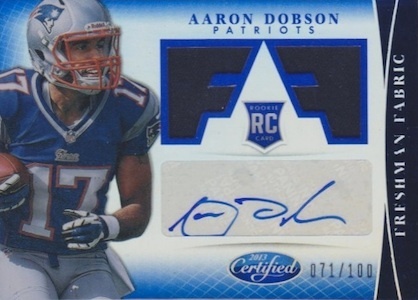 Shop for 2013 Panini Certified Football Freshman Fabric Signatures on eBay. 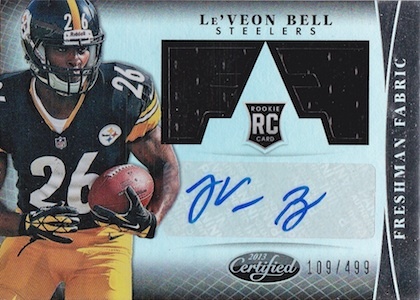 The full checklist includes the standard 40-player grouping typically found in these Rookie Premiere sets. 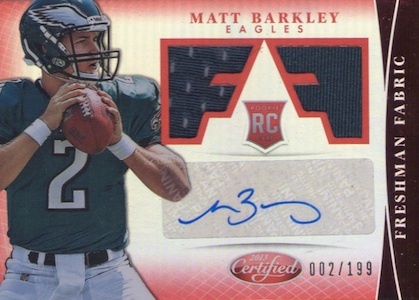 Collectors will notice that there are two distinctly different designs that all fall under the same card Freshman Fabric numbering. 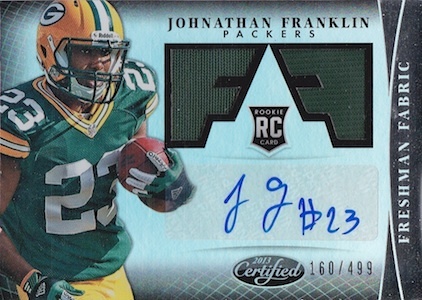 Other than the base Freshman Fabric Signatures, which are numbered to 399 or 499, there are several tiers of parallels. 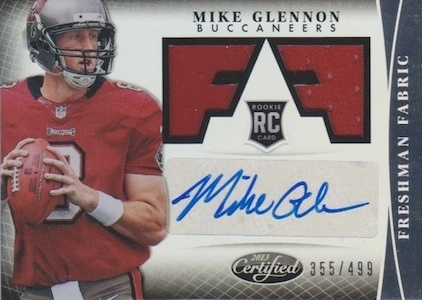 These include both signed and un-signed versions. 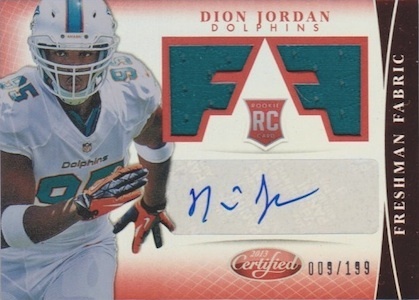 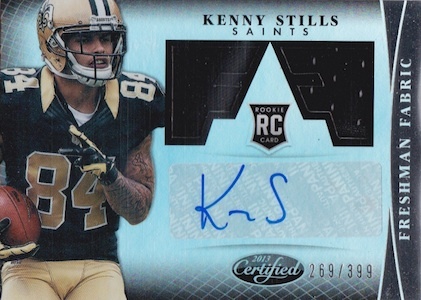 Be aware that not all of the players are included in each autographed parallel. 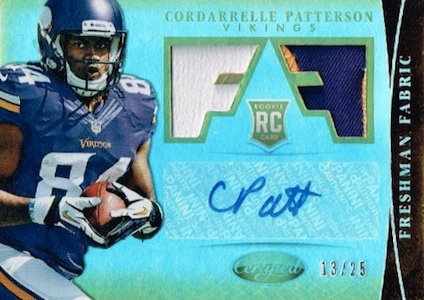 Refer to the 2013 Certified Football checklist for complete listings for each parallel. 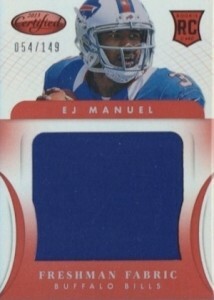 The image gallery below shows each of the players featured in the set. 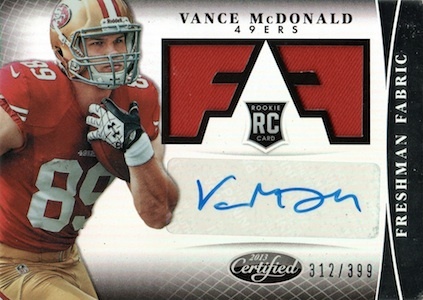 Please note that redemptions are not pictured, and when base versions were not available, parallels were substituted. 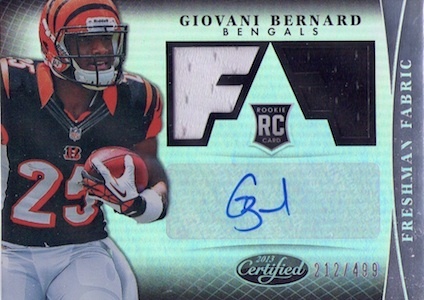 At the time of posting, the card for Gavin Escobar had not emerged. 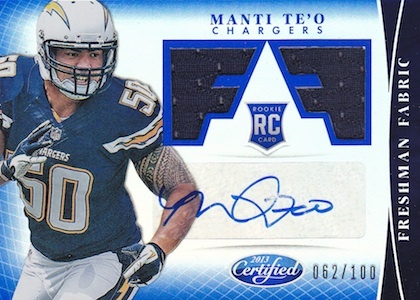 The full checklist, including teams, can be found after the image gallery and redemptions are noted.